In her more than 40 years as an editor, Ellen Kleiner has worked for national book and magazine publishers including Bobbs-Merrill Company and John Wiley & Sons in New York; William Gannon, Publisher, Sun Publishing, Mothering Magazine, Miracles Magazine, and New Mexico Magazine in Santa Fe, New Mexico; and Four Corners Magazine in Sedona, Arizona. To date, she has worked on more than 1,900 books and magazine issues, many of which have won notable awards. Ellen was drawn to Santa Fe by its natural beauty, cultural diversity, and creative community. An active member of the New Mexico Book Association and PEN New Mexico, she has played a leading role in Santa Fe's emergence as an independent publishing center. Ellen created Blessingway Authors' Services in 1993 to help independent publishers and self-publishers achieve success in the literary marketplace. Blessingway's areas of specialty include parenting, complementary health, spirituality, psychology, education, women's issues, self-help, inspiration, Southwestern subjects, fiction, and children's books. The plan was never to branch into foreign rights agenting. But when an editorial client discovered that her New York publisher was doing nothing to sell translation rights to her books overseas, Ellen offered to give it a try. She was as surprised as anyone to see how successful her efforts were. Suddenly, Blessingway had a new, exciting service to offer. Its author and publisher clients currently enjoy mutually fruitful relationships with publishers around the world. In recognition of Blessingway's work for its authors both domestically and abroad, Ellen was named one of ten Outstanding Women in Independent Publishing and, in May 2006, was presented with an IPPY award commemorating the event at BookExpo America in Washington, DC. Peggy Keller began her career in publishing over thirty-five years ago at Yale University Press as assistant to the sales manager. She subsequently worked in sales and marketing at Random House for more than sixteen years. Since then she has served as president of Prelude Press, an independent publisher based in Los Angeles, and consulted with publishers of all sizes, concentrating on sales, marketing, and publicity. Peggy’s clients include, among many others, Health Information Press (LA), Virgin Retail Group (megastores nationwide), Zagat Surveys (NYC), Pureplay Press (LA), and LA Times Books. Lora's background is in both editorial and promotion. In 1992, she was CEO of a London-based public relations company when she was offered the chance to make a career switch and joined Reed Elsevier UK as a launch editor for glossy magazines. Since then, she's done stints for Judy Daish literary agency, Condé Nast, John Brown Publishing, and Northern and Shell newspapers. She specializes in developmental editing, helping authors polish the concept and narrative curve of a story or book. Currently, Lora is working on putting together social media seminars for Blessingway's authors. She also manages publicity for radio, television, retail, and author websites. Mae Krieg has been writing ever since she read Harriet the Spy and decided that in order to see one must write everything down. Ever since, she has been hooked and has an obscene amount of journals—some not completely filled because she also has an obsession with the various styles of notebooks. She had the privilege of studying at two campuses for her undergrad, at SUNY New Paltz in New York and The College of the Atlantic in Bar Harbor, ME, studying both English and Sustainable Community Development. 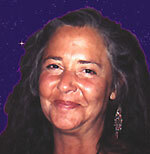 Mae hails from Bar Harbor, Maine, and moved to Santa Fe on a wonderful whim, which has served her very well. In her spare time Mae reads (mainly Clarice Lispector over and over again), writes, hikes, laughs, and hopes she is funny (sometimes).